I am a balance-focused triathlon coach, with a lot of experience in overcoming many of the beginner fears and concerns, such as gaining confidence in the individual sports of swim, bike and run, and putting them together to enjoy triathlon and how to improve in triathlon by focusing on each of these areas. I'm most happy working with people new to the sport, to introduce you and help you prepare for your first triathlon in any distance up to 70.3 and being ready on race day! Lauren’s first run was around the block in a pair of grungy Vans when she was in middle school. Following that she’s had fits & spurts of running, until moving to Chicago and getting firmly entrenched in the running and triathlon community there. Over the past ten years, Lauren has run 6 marathons and quite a few triathlons, including two Ironman triathlons. 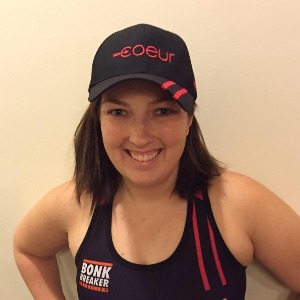 In 2015 she completed her 2nd Ironman triathlon at Ironman Wisconsin, with a 1.5 hour PR. She likes swedish fish, red wine, healthy eating and trying new foods, and kicking back with other athletes. Success. Coach Lauren Wong has been notified of your message.